The “strange” weather year of 1863 confronted the State with its most serious weather-related difficulties yet, the effects of a drought that predominated most of the year. Forward conditions over much of Spring seemed to give signs that another prosperous agricultural season was ahead, but a severe rainfall-deficit pattern set in after mid-May, intermittent, critically timed rains barely staving off ruin for the wheat crop later in the summer. Freakish mid-July and late-August frosts, however, injured other crops, including corn. River stages during summer fell to historically low levels, with boat traffic seriously curtailed well into autumn. Annual mean temperature in St. Paul was 42 F, total precipitation for the year just 15 3/4 inches. All quotes below, unless otherwise noted, are from the St. Paul Daily Pioneer. Another “Disappointing” Winter – Mild and damp weather continued over much of January (St. Paul mean temperature: 19 F) and February (mean temperature: 14 F) across the settled areas of Minnesota. The New Year opened with a 48-hour thaw over the Central and South, accompanied by yet additional rainshowers. Seasonably cold weather prevailed over most of the next two weeks, a few afternoons thawing and a few other mornings subzero. But a heavy January thaw set in over the 19th to 23rd, temperatures hovering night and day in the 30’s under overcast skies. A “wet” snowstorm on the 23rd finally initiated the sleighing season in St. Paul, but here at least, it was destined to last only three weeks. A “remarkable turn” over the first few days in February provided the only real taste of bitter arctic cold this winter. Accompanied by “cutting” northwesterly winds, afternoon temperatures on the 2nd across the State failed to reach minus 10 F. The following morning was -31 F in St. Paul and -43 F at Fort Ripley. By the 13th, though, the mild, damp, and occasionally rainy regime was back, persisting over most of the rest of the month. A storm of heavy wet snow on the 25th left 6 inches in St. Paul and 7 inches at Mankato, but much of it melted as it fell. For the numerous health-seeking visitors, the ’62-’63 winter was “very disappointing”, and concerns were being now being felt that Minnesota’s reputation for “consistency” was going to suffer. As a consolation, though, it seemed likely that an early breakup now to follow, with a “speedy opening of navigation”. Repeating the script of 1861, however, this did not materialize in March. Throughout the month (mean temperature in St. Paul: 27 F), a “very steady degree of cold prevailed, moderate, and not unpleasant, but still holding firm the ice barriers”. Highest observed temperature in St. Paul was only 48 F, the first 19 days almost precipitation-free. The latter pattern came to an abrupt end over the next three days. Five inches’ wet snow fell on the 19th, and the night of the 21st brought a “remarkable thunderstorm” of 5 hours’ duration and summer-like intensity (“severe and incessant flashes of lightning”). Some 1.34 inches’ rain was dropped, and major damage was done in the outstate areas to roads and bridges. This accelerated the movement of river ice by about a week, the first boat arriving in St. Paul on April 5th. Rapid Spring Advance in April & May – April (St. Paul mean temperature: 48 F), a month of “unusual pleasantness”, showed a rapid advance of vegetation and seemingly great promise for agriculture. By the 3rd, roads in the Rochester area were already “in good order and in places, dusty, even.” Spring work had commenced in the country, and “on some warm, dry lands”, farmers were “dragging the ground preparatory to sowing.” The last half was very mild, but also virtually rainless. Nevertheless, developing vegetation reached “an unparalleled degree of forwardness”. On the 17th, the mercury hit 76 F in St. Paul for month’s warmest, readings in the upper 60’s and low 70’s general during the last week. Violets and wild strawberries were already in bloom on the 29th, and there was “scarcely a tree which had not burst into leaf … large numbers present[ing] an aspect of rich and beautiful green.” In spite of continued light rainfall over most of May (mean temperature in St. Paul: 58 F), vegetation continued to advance rapidly, a full week ahead of the “unprecedented” pace of last year. Less than an inch of rain fell over the first 21 days in St. Paul, the consensus now being that this was one of the driest springs “for some years”. The rivers continued to fall, especially rapidly over the 19th-21st in which temperatures reached to mid-80’s and higher in the settled areas. More than two inches’ rain fell in St. Paul over the 22nd-23rd, but its net effect on the rivers was only to “put them at a stand”. At month-end, traffic on the main rivers was being severely restricted. Full-Fledged Drought – June (mean temperature in St. Paul: 64 F), one of the driest summer months ever observed in Minnesota before or since, confronted the State for the first time with a possible calamity from drought. The mostly cool temperatures that prevailed, however, kept agricultural consequences less than what they might have been, had the high temperatures that frequently coincide with drought been more prevalent. No measurable rain fell the entire month in St. Paul, just “sprinklings on several days, of no account.” Over the agricultural areas of the southeast, greater falls fortunately occurred near the close. Significant crop damage was confined only to late-sown wheat. On the rivers, reports of record-low water levels and progressively less boat traffic came regularly. Brooks ran dry, mills were forced to stop operating, and the Mississippi dwindled to “a respectable creek”. On the 10th, the Upper Mississippi [north of St. Anthony Falls] had “scarcely enough water to float a canoe”, and larger boats going upstream on the Mississippi had to transfer freight and passengers destined for St. Paul to lighter draft boats at Red Wing. Over the 12th to 16th, a brief hot spell enveloped the State. St. Paul observed near 90 F temperatures, and Fort Ripley recorded 97 F and 95 F on the 14th and 15th, respectively. A marked cooling, however, then followed, St. Paul only in the 50’s on the 19th and 20th. 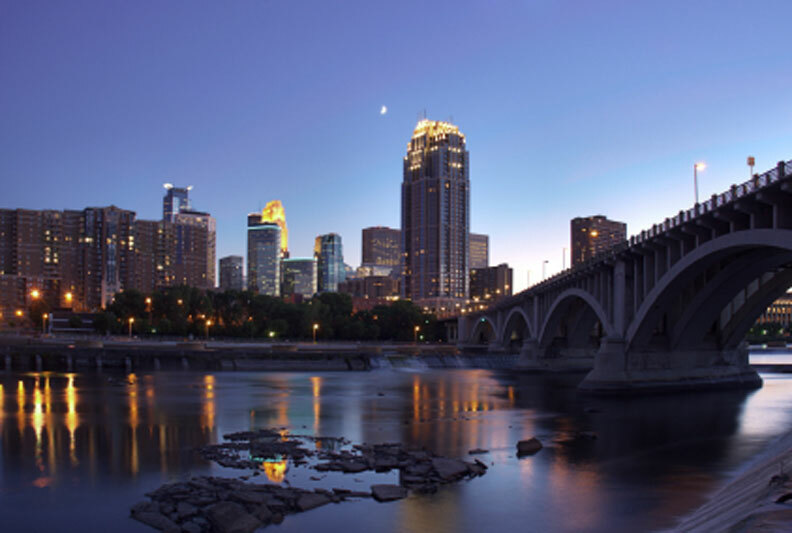 After the 19th, all forms of commercial navigation were suspended on the Minnesota. The Mississippi on the 27th opposite at St. Paul was reportedly 1 1/2 feet lower than it had ever been since the city was settled (in 1848). Wood was now becoming scarce as it couldn’t be floated down in any quantity from the Upper Mississippi country. Fort Ripley reported “the grass upon the prairie nearly or quite dried up”. A bizarre sight around month-end in the St. Paul vicinity were the cattle seen wading across the river above and below the city. July Frost and Smoke – July (St. Paul mean temperature: 68 F) opened with moderate showers in the southern part of the State, but not until mid-month were additional falls received. A second five-day heat spell commenced on the 4th with temperatures in the low 90’s in St. Paul, but fortunately, the rest of the month was cool, afternoon readings generally in the 70’s. As the harvest commenced late in the month there were surprising prospects of an “average” yield throughout most of the State. Shortly after the heat wave passed, the “unusual and exceptional” visitation of mid-summer frost occurred. In the St. Paul vicinity, a killing episode occurred on the night of the 11th, destroying “a considerable portion of corn” within a range of 25 miles of the city. In Richfield, potatoes, pumpkin vines, cucumbers, and other vegetation that occupied low ground were also “seriously injured”. Lighter frosts followed on the 12th and 13th, but on the night of the 14th, another “hard one” occurred, ruining “individual plots of melons”. Farther south in Rochester on the night of the 11th, “a smart frost in all the low, damp, ravines throughout the country killed vines, ruined corn, tomatoes, and all vegetation except small grain.” Slight frost was “visible” again on the morning of the 13th, and on the morning of the 15th, “a sharper and more general frost occurred, reaching to higher and dryer grounds and playing mischief with gardens, generally”. Frost was also reported in Western Winona county on the morning of the 12th and in Mankato on each morning of the 12th through 15th, but with no damage of consequence. The July 1863 drought and frost were not unrelated. Soil moisture, with its large heat capacity, retards extreme cooling of the ground during summer evenings, but during this month it was of course, unusually depleted. During favorable atmospheric conditions (cool overlying air masses, clear skies & light winds), the potential existed for rapid cooling of the ground, not unlike that of a desert. Another drought-related phenomenon during the month was “the suffocating smoke” originating from forest fires around Lake Superior. From the first of the month, fires extending along the entire North Shore of Minnesota and South Shore of Wisconsin raged uncontrollably. On days with north winds, clouds of choking smoke were blown over the settled areas, occasionally blocking out the sun. The 10th in St. Paul was described as “decidedly the most disagreeable day that has ever been experienced in this latitude. The atmosphere was so thick that it was difficult for persons with weak lungs to breathe. You ate smoke, drank smoke, and inhaled smoke… the whole country seemed to be on fire”. The smoke extended at least as far as Fort Ridgely, the observer there on the 8th mistakenly noting it as “probably from large prairie fires NW”. Peat bogs near the “Rice Lakes” to the East of St. Paul also took fire, and as late as early August “the smell of burning peat is even now strong in the atmosphere”. While agriculture had largely survived this summer’s adverse meteorological events, other economic activities depending more directly on the river levels were seriously affected. Some felt this was really a blessing in disguise, with a “hastening [of the] completion of railroads between here and Chicago and Milwaukee.” This delay in the completion of railroads linking Minnesota with the outside, a result of the Financial Panic of 1857 [Lass, 1976] and perhaps the on-going Civil War, would not be relieved for another four years, however. More Frost in August – The drought showed signs of easing in early August (mean temperature for the month in St. Paul: 67 F). In the capital city, nearly an inch of rain fell on the 4th, another 1/2 inch coming over the 6th-7th, and 3/4 inch more on the 12th and 13th. Soon, according to Reverend Paterson, pastures “took on a new growth and presented the varied green of the early Spring.” Significant rains were also reported to the west and north of St. Paul, and up the Minnesota River Valley, some were especially heavy. Around the State, the harvest of wheat and oats was generally below average, but “far above what could have been expected”. The supply of vegetables, however, was much reduced with only cabbage appearing to have been spared damage. Probably the most damage of all this summer, though, was the bad publicity that was certainly to come from these adverse events. At the very least, the theory that Minnesota was less susceptible to early and late frosts had been severely discredited. Warm and sultry weather prevailed over the 13th-18th, including 91 F in St. Paul on the latter day, but over the last week another historic frost visitation occurred. In Rochester on the 25th, severe damage was done to vines in low damp places, and on the 29th “an old-fashioned October frost (black, white, and blue) made a finish of the vines that escaped the Tuesday [25th] frost and blasted the entire corn crop in this vicinity to the extent of at least one-third.” In St. Paul, ice formed 1/4 inch thick on the morning of the 29th, and a large portion of the corn crop within a distance of 50 miles was destroyed. In the city itself and vicinity, vines and flowers were “almost entirely killed” and a large amount of damage was done to vegetables. E. H. Biggs, a local druggist with a self-registering minimum thermometer, recorded 34 F this morning. Other parts of the State, on high ground or in deep valleys came out better, and in Mankato and Winona, tender vines were mostly unaffected. Surprisingly, regions of the country to the east and south of Minnesota were hit even harder. In Illinois, half the corn crop was destroyed; cotton, sorghum, and tobacco “utterly ruined.” Tobacco was injured as far south as Kentucky. Temperature Extremes in September and October – September (mean temperature in St. Paul: 58 F) featured large contrasts in temperature and “continued absence of rain.” Following an opening twelve days with afternoons mostly in the 60’s and almost no precipitation, a three-day heat wave began to build, culminating with readings in the low 90’s on the 15th. Thunderstorms on the 16th broke the late warm spell, starting a remarkable descent from summery to wintry weather in just a few days’ time. Readings on the 17th in St. Paul were only in the 40’s, with a “brisk, equinoctial gale, accompanied by a cold shower of rain that brought overcoats and good fires into general requisition”. The 18th was even colder, the mercury sinking to 30 F by 9PM in St. Paul, the daylight hours having experiencing “snow squalls”. Rochester also reported “scattered snow flakes” this day. Temperatures recovered to unseasonably warm levels again late in the month, with 86 F observed on both the 27th and 28th in St. Paul. Minnehaha Falls was reported dry on the 29th. October, a month of “clouds and darkness” with far below normal temperatures, seemed as “a modified November”. Monthly mean temperature at St. Paul (39 F) was second lowest in 44 years. Afternoon readings were no higher than the 40’s over the first five days, an “infinitesimal dose of snow” also seen on the 3rd. From here through the 17th, conditions were only slightly warmer, with afternoons mostly in the 50’s. But thereafter, almost winter-like weather prevailed, the majority of the days no warmer than the 30’s. Moderate rainfall after the 17th, however, allowed the rivers to rise again to tolerable levels. On the 27th “The First Boat of the New Season”, the “Milwaukee” arrived in St. Paul after an absence of nearly four months. A Year-End Temperature Plunge – November (mean temperature in St. Paul: 29 F) was much more seasonable with a “large amount of cloudiness”, an “unusually equable” range of temperature, but light precipitation (just two measurable falls at both St. Paul and Fort Ripley). A spell of “delightful” Indian Summer weather prevailed over the 11th-19th with afternoons mostly in the 50’s, but the season’s first arctic intrusion produced -15 F on the evening of the 28th in St. Paul, this outbreak had been preceded by a two inches’ snowfall the previous day. The last steamboat left St. Paul on the 26th, ending a very difficult navigation season. Total 1863 arrivals were down more than one-fourth from last year, total tonnage lower by nearly one-half. December (St. Paul mean temperature: 19 F) featured “an unusual amount of cloudy weather” and except for the last few days “uncommonly moderate winds”. The first two weeks were quite mild with thawing temperatures observed on most days, some in the low to mid-40’s. Nearly a half-inch of rain fell in St. Paul on the 7th. Colder weather moved in over the following week and the mercury dropped to -22 F on the 19th in St. Paul. But a second mild period set in on the 22nd, providing a week straight of dull overcast skies and temperatures night and day in the 20’s. The final notable meteorological happenings of this “strange” year [so described by the Mankato Independent], were the two big snowstorms of the last week followed by the steep temperature descent on New Year’s Eve Night. The latter was prelude to the Great New Year’s Day Arctic Outbreak of 1864, one of the most memorable meteorological episodes of the entire United States climatic history. In the south, the “severest storm of the season” dumped six to eight inches in Rochester on the 27th to 28th. Next, another fierce storm accompanied by sharply falling temperatures moved in just three days later. At Mankato on the 31st, the wind and snow “howled fearfully through the streets”, and out on the prairies, “it was a perfect hurricane – the snow drifts being from 3 to 5 feet deep”. At relatively nearby Fort Ridgely, the 31st was “a horribly cold and stormy day” with the “snow drifting fast”. Temperature readings were -16 F at 7AM and -21 F at 2PM, each with Force 7 northwesterlies (60 miles per hour). The snow tapered off by evening, but temperatures, already at extremely low levels, kept falling. At 9PM, St. Paul was already down to -28 F with an estimated Force 4 (25 mile per hour) northwesterly wind, Fort Ridgeley -26 F with Force 6 northwesterlies (45 miles per hour), and Fort Ripley -31 F with Force 4 northwesterlies.